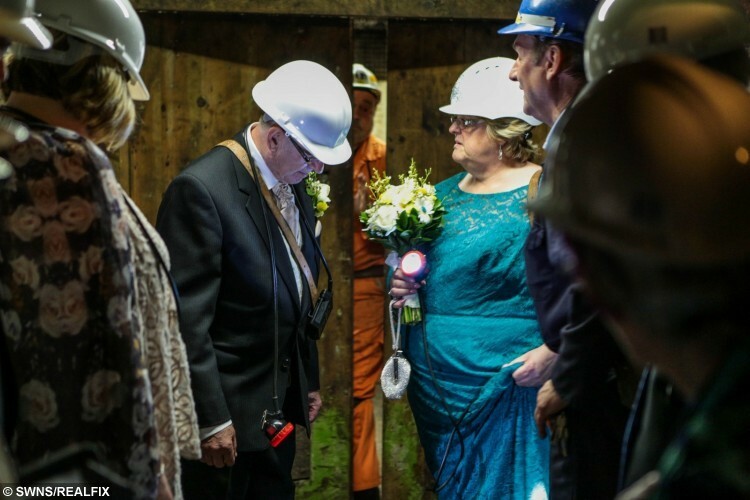 A loved-up couple has honoured two generations of history in the bride’s family by being the first pair in the UK to get married – down a COAL MINE. 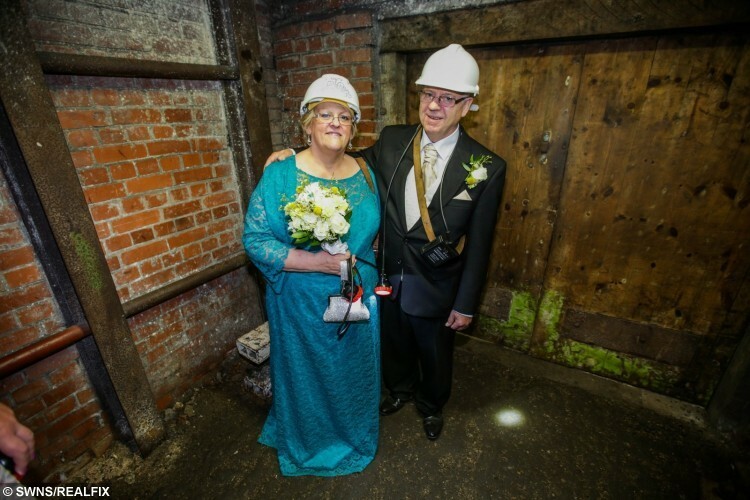 Newly married Sharon Torr, 58, and her husband Alan, 68, spent just six months organising their unusual wedding venue. 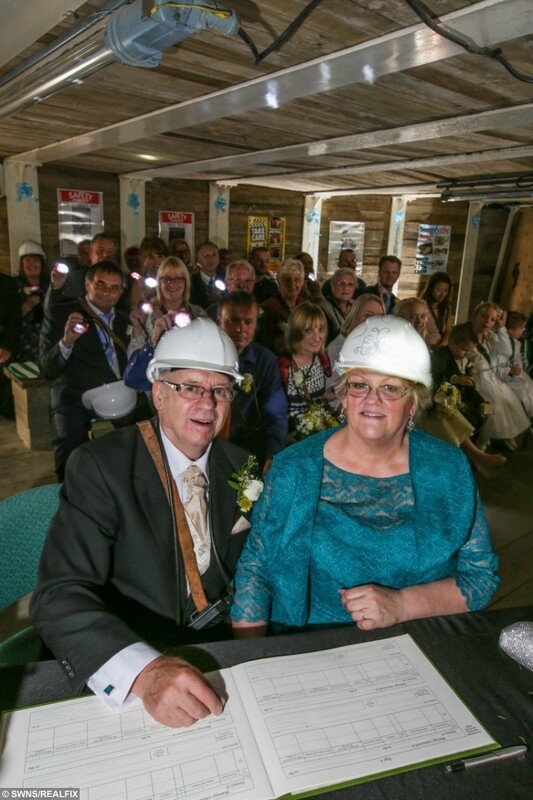 It was both as a homage to Sharon’s coal mining background and to ensure a wedding completely different to any other. 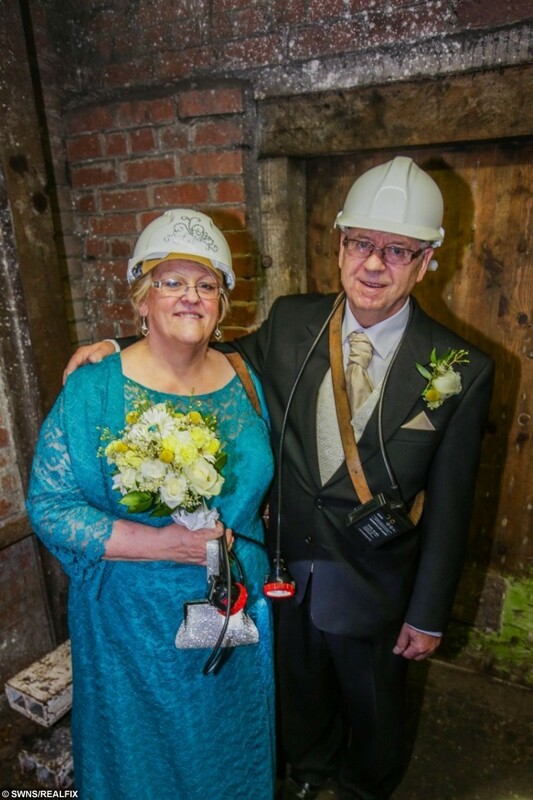 Sharon, who works for the National Coal Mining Museum near Wakefield, West Yorks., where the day’s celebration was held, was thrilled to have been allowed to get married underground. While some brides may worry about their hair and make-up difficulties with going underground, Sharon had every aspect covered. She said: “Everybody had to wear helmets while travelling down underground and to the room we got married in but they were white and mine had a bit of bling on the front – it looked like a tiara. All guests had to wear a small battery pack for their cap lamps to ensure they could see in the pitch black. Guests of the wedding, which happened at 5pm on Saturday, July 16, were transported underground in two separate tranches before Sharon made her grand entrance with her two sons, Zac, 26, and Brett, 24, four bridesmaids and two page boys. Once underground, guests and the wedding party were taken to the museum’s education room for the ceremony. 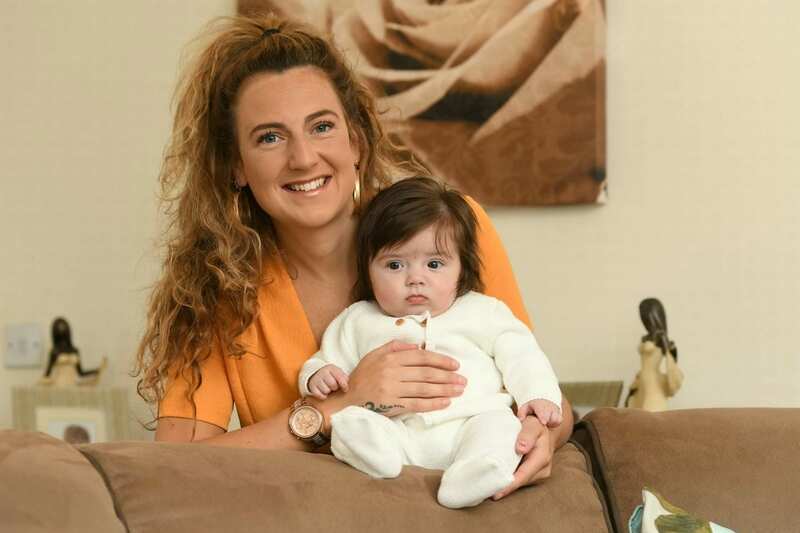 Sharon, who got engaged to Alan in Mexico in January 2016 after the two met online in July 2014, said: “We kept the benches used in the room for the guests. There was some machinery in the room that we draped cloth over but we kept the informative posters up on the walls. “They weren’t very sightly but we didn’t wanted to take away from the authenticity of the room. “We had flowers in the underground room and also two lit miners’ lamps on either side of the registrar. Sharon, who was married to her first husband for 28 years, explained how her father worked as a miner for 32 years. She said: “I remember him going out to work down the mine at the crack of dawn. His dad worked down the pit as did my grandfather’s brother. 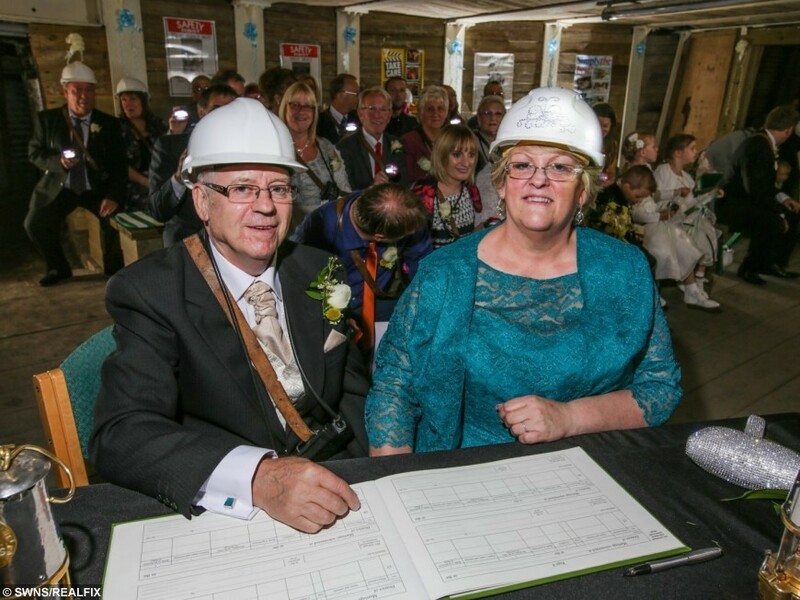 Speaking about her decision to choose the National Coal Mining Museum as her wedding destination, Sharon said: “I was sat at work wondering where we could have the wedding that would be totally different. “Suddenly, I wondered if we could have it here and a colleague of mine went away to find out if it was possible. 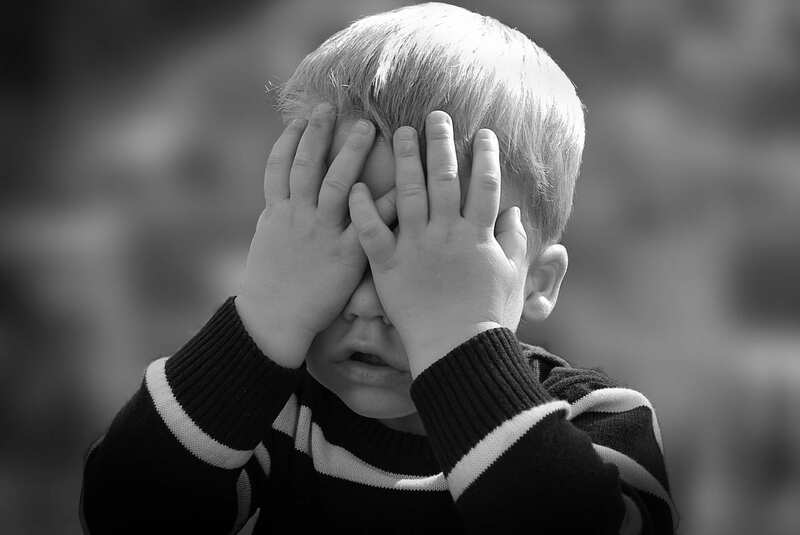 The only thing left for Sharon to do was to clear it with father-of-three Alan before she went ahead with the planning. 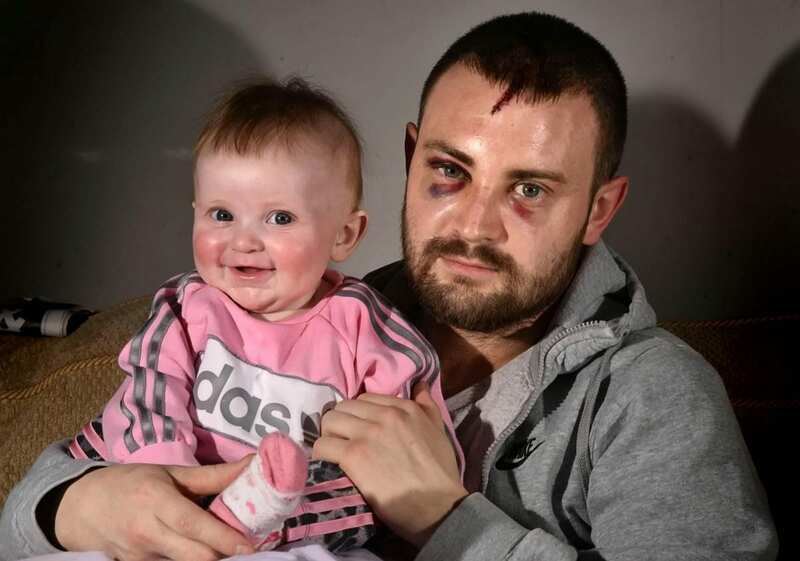 Describing her new husband, who works as an electrician, Sharon had nothing but praise. The pair had their reception, which included a karaoke and 130 guests, in the conference room of the museum where invitees were treated to afternoon tea and a hog roast later in the evening. They travelled to Cornwall for their honeymoon a few days after the ceremony. Speaking about the day, Sharon said: “It was a wonderful day. I was really looking forward to it and I wasn’t nervous at all – it was everything I wanted it to be. 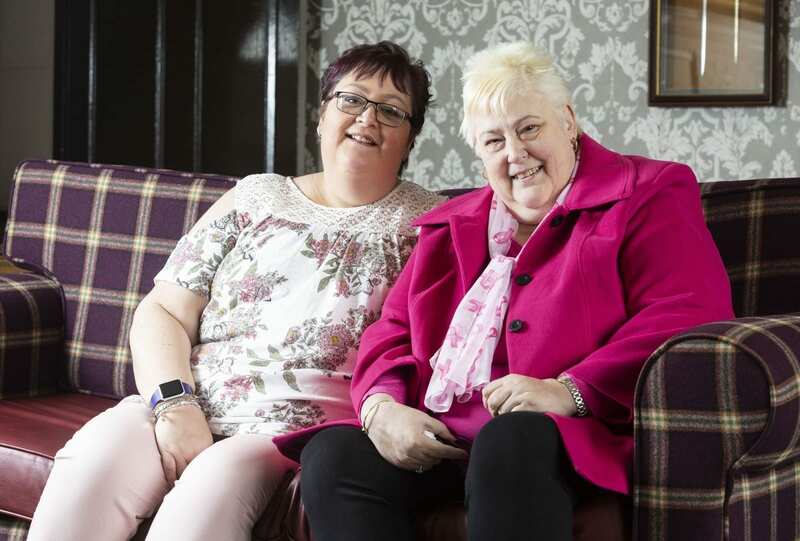 “The venue was a wonderful way to honour and remember my family.